Note for 2016 — Market reports, as we post them, will appear directly on this page, rather than in any individual blog posts for Market Reports. If you want to keep an eye on the market for this specific building, bookmark this page. Spire Midtown Atlanta is located on Peachtree Street, between 6th and 7th Streets. The building offers a variety of studio, 1 and 2 bedroom floor plans, a club room, roof-top pool, movie theater and fitness center. When this building was announced in 2006, it was the first new construction condominium building since Metropolis Midtown was built in 2001. It SOLD OUT in 3 weeks, but Buyers later learned that the developer, Novare Group, held some 50 homes back and then those that were trying to flip properties had to compete with the developer! It was a lesson learned. The building is home to restaurants like Five Guys Burgers, Fresh To Order as well as a dry cleaners and an eye doctor. 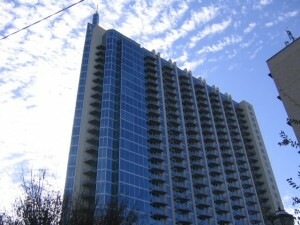 Visit our community page @ Spire Midtown Atlanta for more information about this awesome Midtown Atlanta condo building! If you are looking to buy or sell in Spire Midtown Condominiums, understanding the market trends will better help you make an offer on a home for sale, or determine your pricing strategy if you are selling your Spire Midtown Condominium. 2016 was a busy year in Spire Midtown as we saw 37 homes receive new owners. Of those sales, there were 29 one-bedroom homes that sold in a range from $210,000 to $295,000. 8 two-bedroom homes (actually one was conversion and was a 3/3) sold for a range of $370,000 to $415,000. That aforementioned 3/3 sold for $562,000 in May, 2016. That was actually a rather low price for a 3 bedroom home by Midtown condo standards. The building should see a renovation to the corridors of the residential part of the building in 2018. The rest of the amenities such as the Club Room and Lobby have been renovated in recent years. Here is the summary of the sales in the building for 2016. Note the average days on the market were 42 days! There were some sales that seemed to be long with numbers like 128 and 306 days on the market. That long listing was a studio on the 20th floor…no indication of a distressed sale…just took a long time to move a studio floor plan!!! See all Spire Midtown Condos For Sale. Data last updated: 4/20/19 11:35 AM PDT. 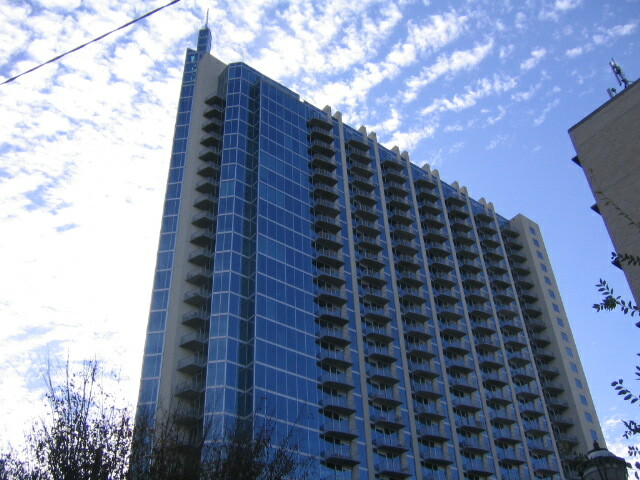 If you are looking to Buy or Sell a home at Spire Midtown Atlanta Condominiums, MyMidtownMojo can help! Selling: Do you want to sell your Spire Midtown Condominium? Call us today at 770.713.1505 to schedule your free market analysis of your home. Or you can complete our Seller Information Form. Are you “upside down” or owe more than your home is worth? If you need to sell your home, you have other options besides a foreclosure, such as short selling your Spire Midtown Condominium. Buying: Are you looking to buy a Spire Midtown Condominium? We can search for you, and even build you a custom website that will alert you daily of any new listings in the building. Just complete our Buyer Information Form and we’ll get to work! Contact MyMidtownMojo and Thomas Ramon [email protected] House Properties at 770.713.1505 or [email protected] for all your Midtown Atlanta real estate needs. Data last updated: 4/19/19 4:11 PM PDT.